Martha Lemasters speaks at the Deerfield Beach Historical Society about how women around the VAB were considered safety hazards and were required to wear white coveralls. 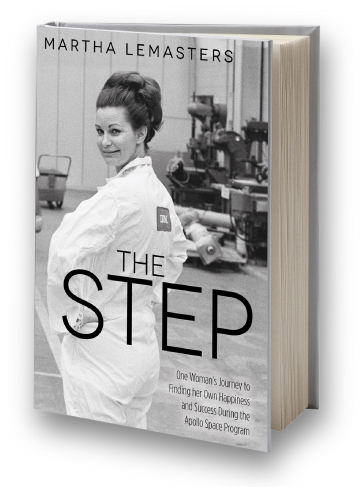 Martha Lemasters, author of The Step, explains the meaning behind the title of her memoir, The Step. Martha Lemasters at the Titusville Library recounts the intense pressure at Cape Kennedy. With round the clock work shifts divorce rates were the highest in the country. Any small clerical error could result in a death. Martha Lemasters talks about those who doubt we went to the moon and the fact that the moon rock we brought back is hard proof. Martha Lemasters reads the introduction to The Step.